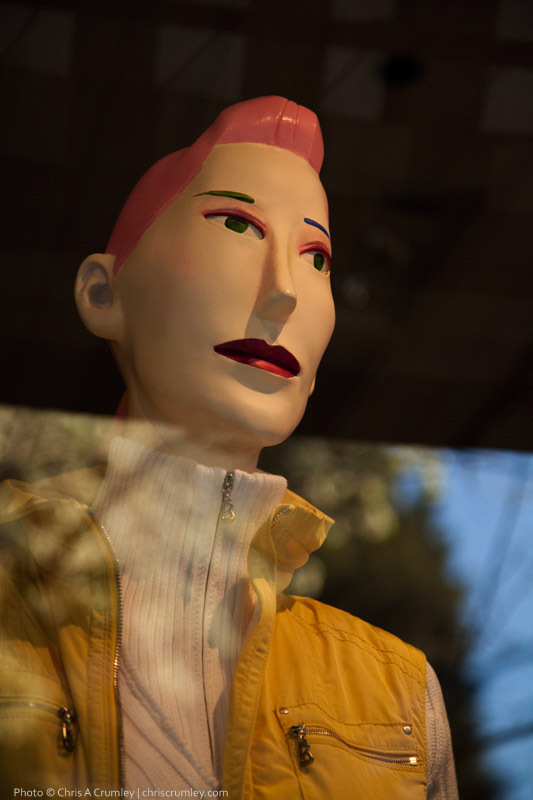 Blog 235 - Could it be Mannequin Fever? Could it be Mannequin Fever? This mannequin makes it three in a row. Could it be mannequin fever? Is that something prevalent in Northern California (Guerneville)? You have to admit, the three are some mix of attractive, interesting or different. And, they are all in different cities.